“How often should I get my air ducts cleaned?” is one of the most common asked questions, when we talk about duct cleaning. The standard answer is each 2 to 5 years. Just think about it, how would you be able to keep your ducts cleaned for such long time? When you wipe a window, to what extent does it stay clean? In case you’re lucky, you’ve got a full day’s worth of clean. The same principle is applied to duct cleaning. By what means would you be able to ensure that ducts will stay clean for 5 years? The genuine answer to this question is that everyone’s scenario is different, and you can’t simply give the standard answer. An assessment ought to be done by either yourself or a HVAC professional to ascertain how dirty your air ducts are, what your specific situation is, and decide from that point around how frequently your ducts ought to get cleaned. There are a few factors that can affect how frequently your ducts should get clean. How many people occupy your home? Do you have pets in the house? Assuming this is the case, do they shed? Have you had any late remodeling or development done in your home? How clean do you keep your home? Is there a lot of clutter and spaces that don’t get cleaned frequently? Again, these are only a couple tests of a few things that may affect your duct cleaning schedule, and clearly these patterns can change over the years. In case you’re thinking about whether it’s about time for you to get a cleaning, remove one of your cool air registers to observe yourself. Do you see dust, grime and dirt build-up? If so, it’s an unquestionably time to get a cleaning done. If you would like to gauge for yourself how frequently you ought to plan a cleaning, have a go at rehashing the procedure in one year and see the amount of build-up you have. If there’s no build-up, rehash the procedure again in another year. While there is positively no harm in over-cleaning your ducts, not cleaning them enough can sometimes cause increased issues with allergies, asthma, and additional toxins (i.e. 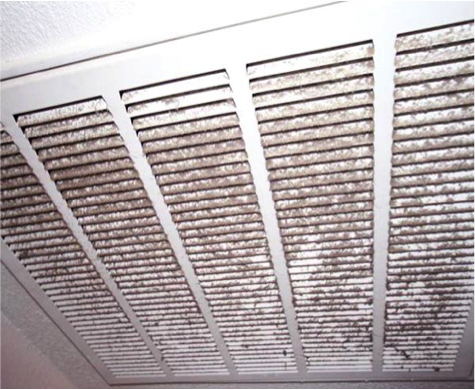 mold and fungus) in the air, so be sure to set up a duct cleaning schedule to keep your home healthy and clean.